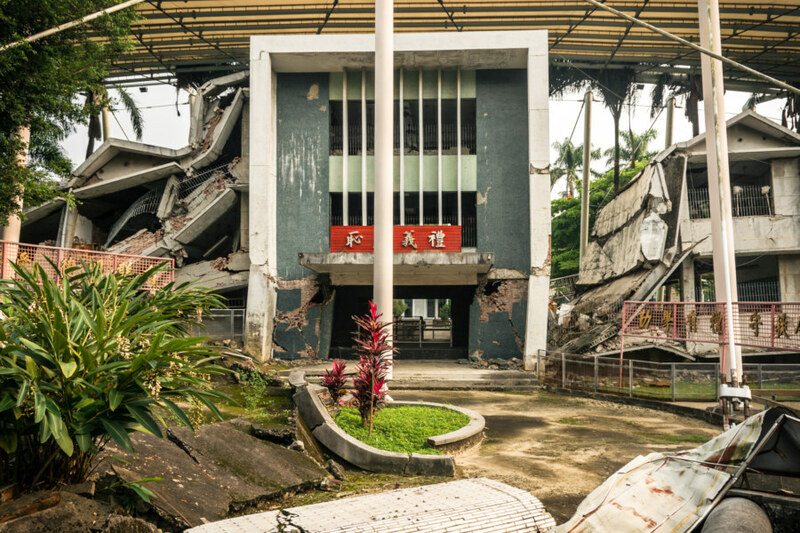 The ruins of the collapsed Guangfu Junior High School in Wufeng. 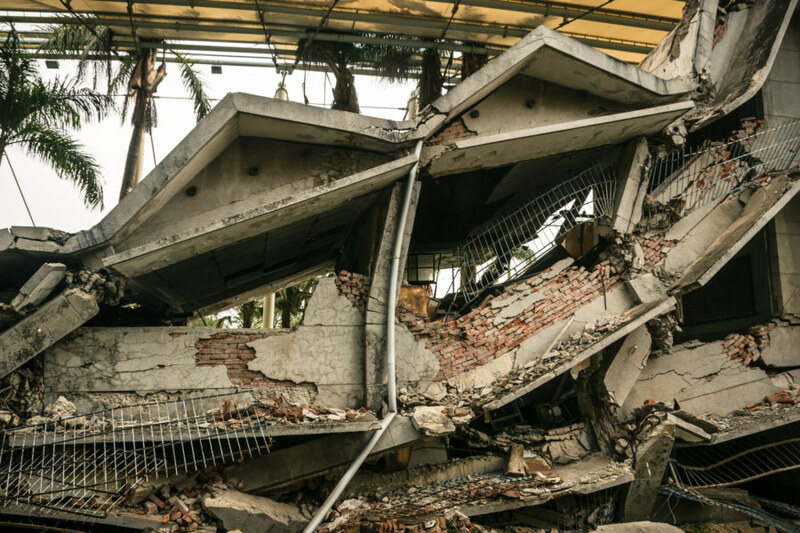 Deep in the night on September 21st, 1999, the devastating 921 Earthquake ripped through central Taiwan. 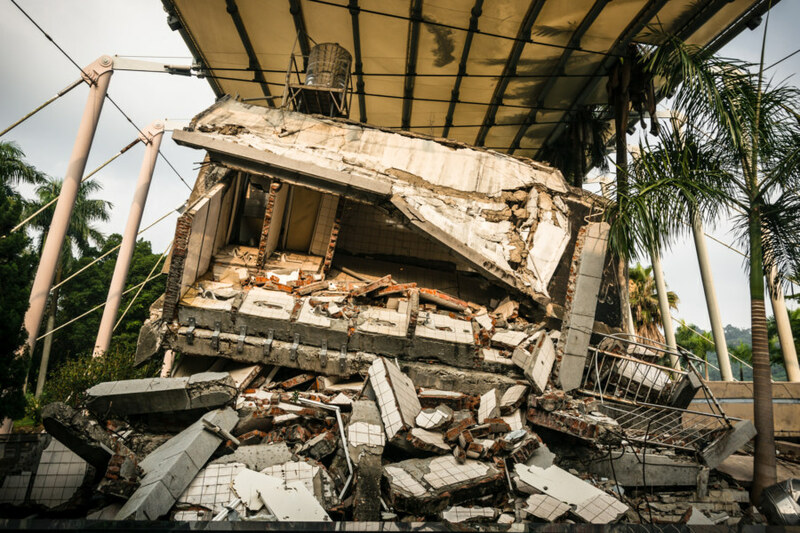 Thousands were killed, hundreds of buildings collapsed, and entire towns were leveled to the ground, particularly in Nántóu 南投 and Taichung 台中. 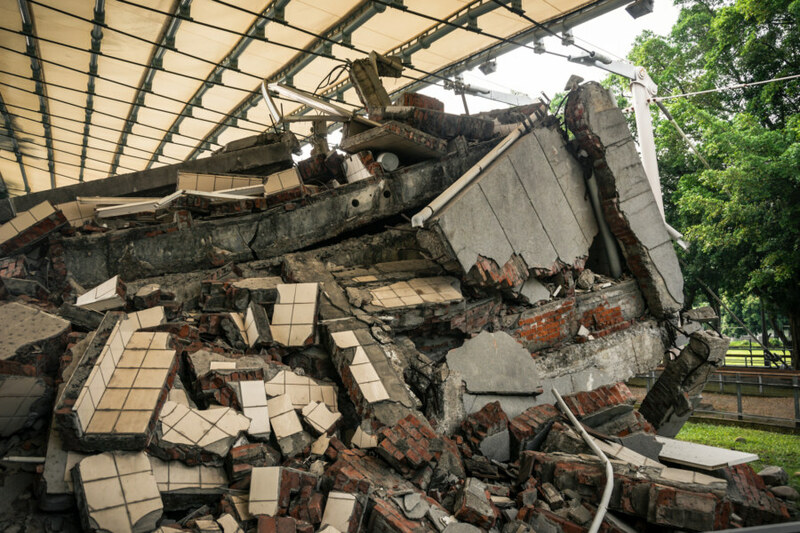 Nowadays there are many reminders and memorials to the disaster scattered across the region, among them the 921 Earthquake Museum 九二一地震教育園區 (Chinese version; official site) in Wùfēng 霧峰, which I visited in June 2014. 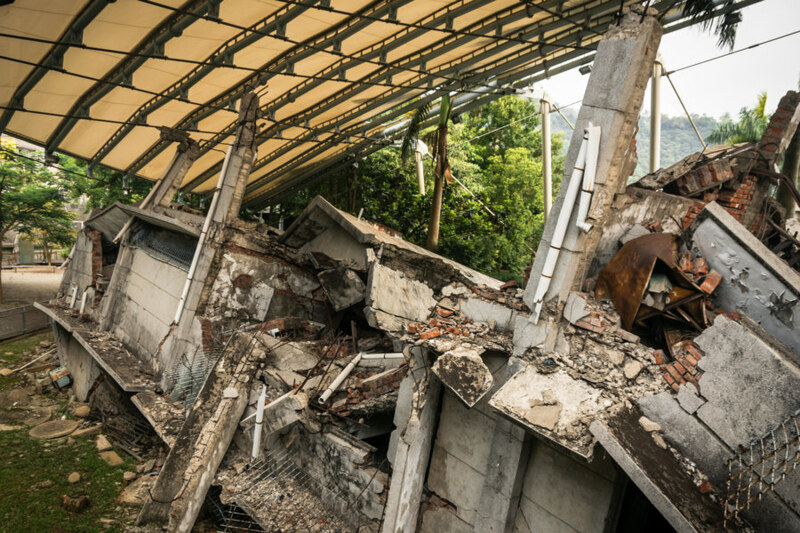 An iconic reminder of the devastating 921 Earthquake in Taiwan. 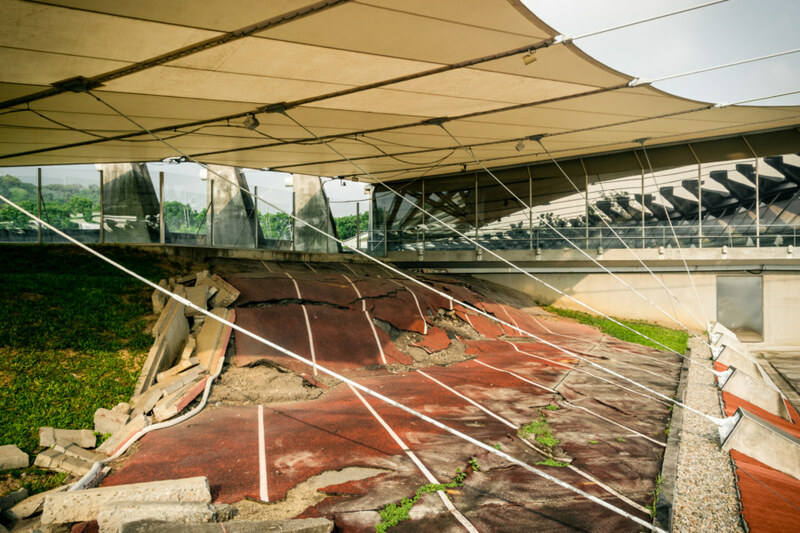 The museum is located on the grounds of the former Guangfu Junior High School 光復國民中學, the ruins of which are preserved under a canopy as a reminder of the destructive power unleashed by the Chelungpu Fault 車籠埔斷層 that fateful night. 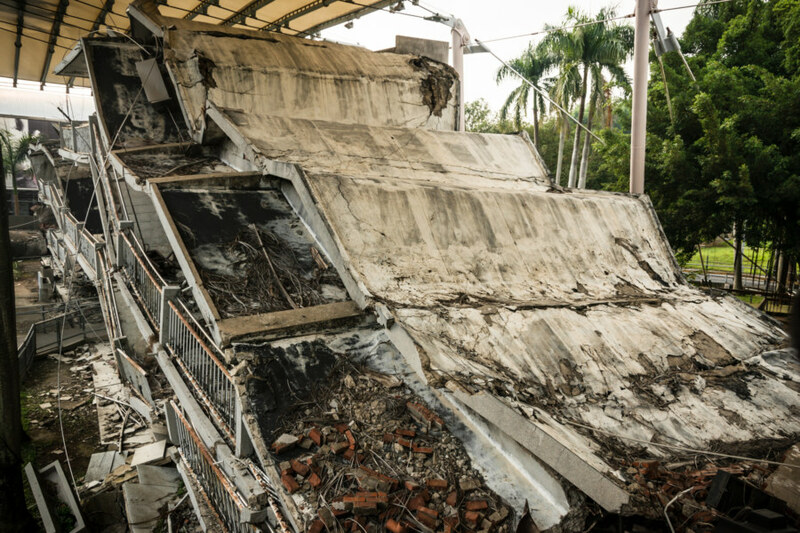 The rupture runs most dramatically through a section of the old running track not far from the collapsed school. Here you can see the displacement that runs along the entire length of the fault. 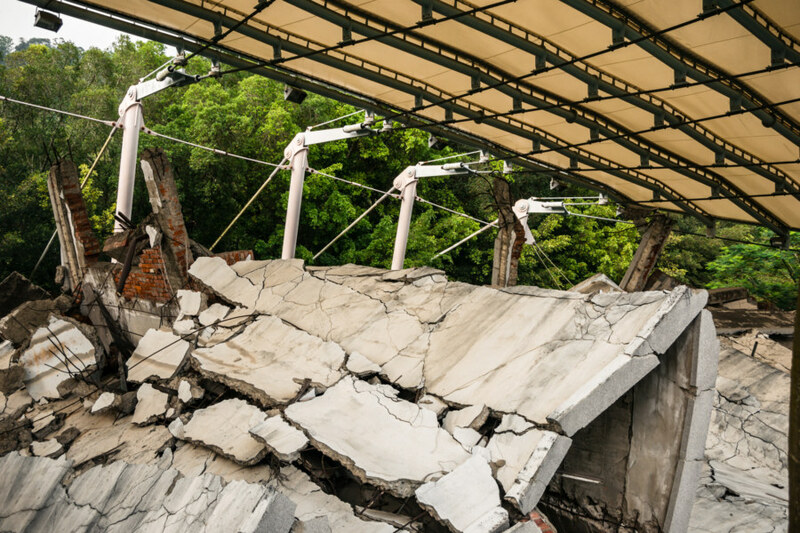 A testament to the immense amount of energy released by the 921 Earthquake. This part of the old school is little more than a heap of rubble. 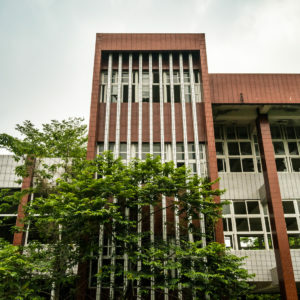 The entrance to the former Guangfu Junior High School. Preserving evidence of the destruction visited upon Taiwan in 1999. 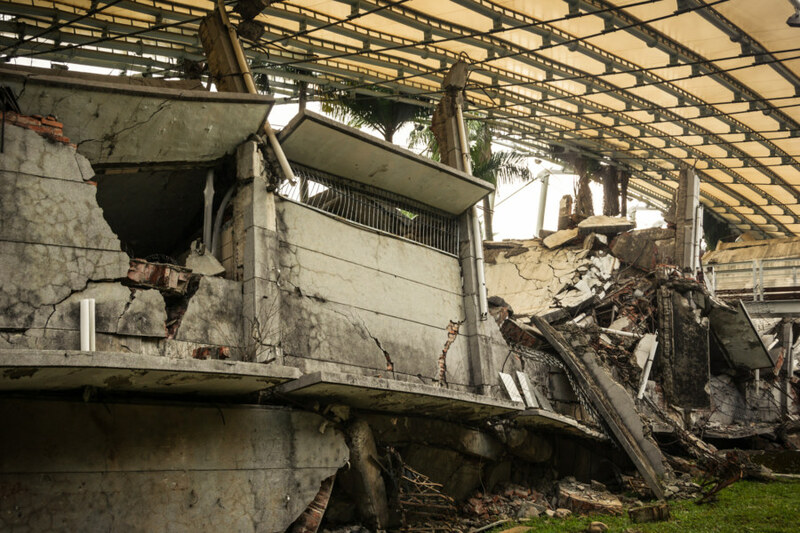 The remains of the school is sheltered from the elements by a broad canopy. 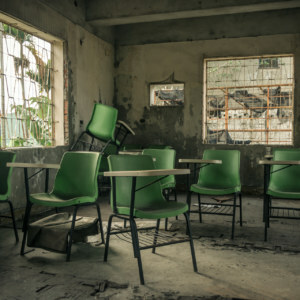 One end of the devastated school. Apart from the collapsed school there are several other displays scattered around the museum grounds—as well as actual displays and information panels in an enclosed space that I didn’t honestly spend much time in. My interest was mainly in surveying the destruction and appreciating the lengths to which Taiwanese have gone to remember the disaster. 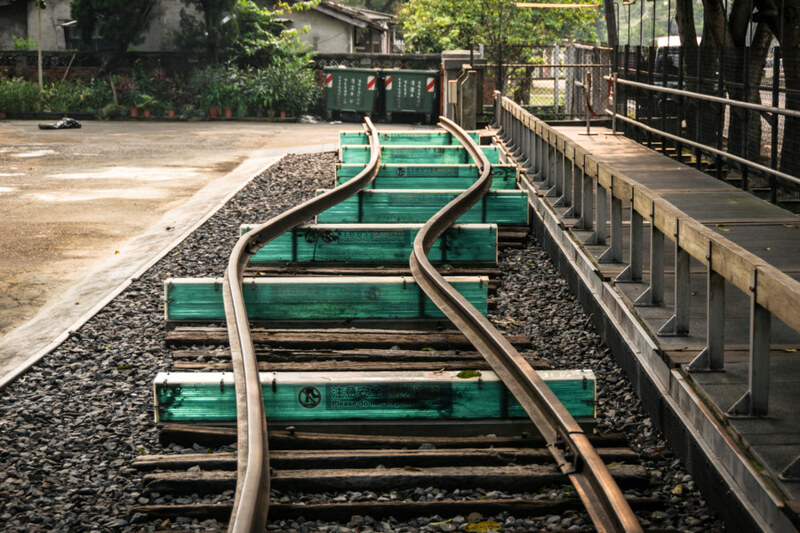 A bend in the railway tracks preserved in the 921 Earthquake Museum. 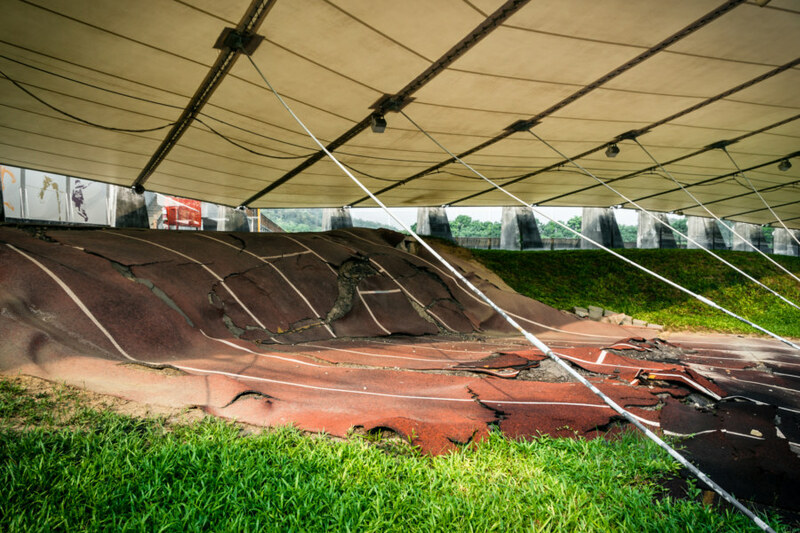 Damage from the fault line running through Wufeng in Taichung. In my many explorations of the aftereffects of the 921 Earthquake I have been guided by bloggers who have gone before me. 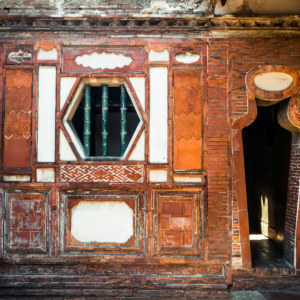 For English language coverage of the backstory and some of the sites worth visiting have a look here, here, and here. 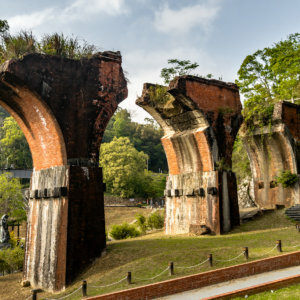 I also recommend checking out my post about Wuchang Temple, a collapsed temple further south in Jíjí 集集.